Almost New (4)Vehicles under 2 years old with less than 20 000 km. All our vehicles are thoroughly inspected by our certified technicians and they receive a most complete aesthetic treatment. Let our experts get you credit approval that fits your budget! * FINANCIAL DISCOUNT * (for 2008 and older vehicles). In addition, get a CarProof report and information on the new vehicle voting warranties absolutely free of charge. For more details, contact one of our representatives without delay! Credit recovery programs available. To note; GST, QST and dealer fees of up to $ 399 are not automatically included in the vehicle's posted price. Prices and monthly payments are estimates only and may vary depending on interest rates. Can't Find What You're Looking for? Allow Us to Help You. 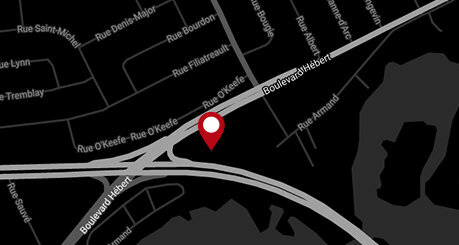 Take advantage of the widest selection and most competitive pricing when you choose your next used car, SUV, or truck in Salaberry-de-Valleyfield from the Toyota experts at Valleyfield Toyota! 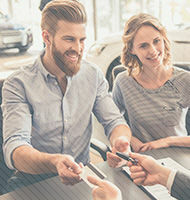 We have an incomparable selection of used vehicles for sale, including an exclusive inventory of top-condition used Toyota vehicles, all fully inspected and reconditioned as needed by certified technicians. In addition to the 127-point inspection each vehicle undergoes before entering our inventory, your peace of mind is also ensured by our one-month, 1,700 km guarantee. You will benefit from a free oil change and our courtesy car service when your vehicle is in the shop. What's more, our professional financing services help you obtain a great credit plan tailored to your specific needs. Plus you can count on getting more for your trade-in vehicle - get it appraised for free! Browse our complete inventory of used vehicles - including our Toyota demo vehicles - and book a test drive at your convenience. To save even more money, you can also check out our special offers on used vehicles. To learn more about Valleyfield Toyota's used vehicles department, call us today at 1 844 802-1961, or submit our online contact form.